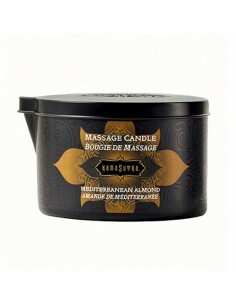 KamaSutra's massage candle melts from candle wax to massage oil in a heartbeat, gliding onto your lover's skin for a sensual, smooth-as-silk massage. Time for relaxation and time for each other! Grab a lighter and light a fire! 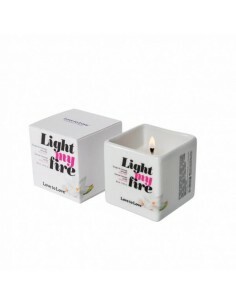 Light the candle and be satisfied by its fruity and delicious aroma. 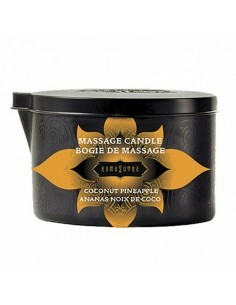 This is a natural wax massage candle that gives you and your partners senses awakens. This unique mix of natural ingredients creates a deliciously smooth massage oil which hydrates the skin and makes it feel silky soft. Ambiance with a romantic touch! 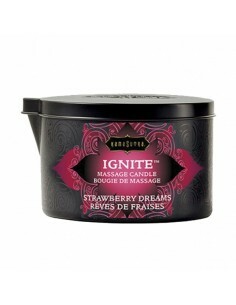 Kama Sutra's massage candle melts from candle wax to massage oil in a heartbeat, gliding onto your lover's skin for a sensual, smooth-as-silk massage. Light the fire! 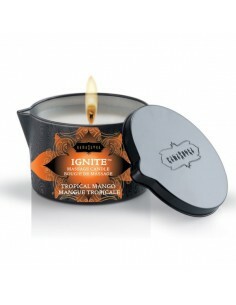 Light the mango scented candle and be tantalized by its fruity and luscious aroma. This massage candle from the brand Shunga based on soya can be used as a candle atmosphere for romantic moments and this candle is great for an intimate massage. Light the fire! Light the white musk scented candle and be tantalized by its fruity and luscious aroma. Light the fire! 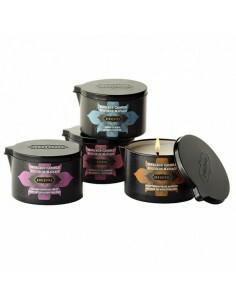 Light the monoï scented candle and be tantalized by its fruity and luscious aroma.